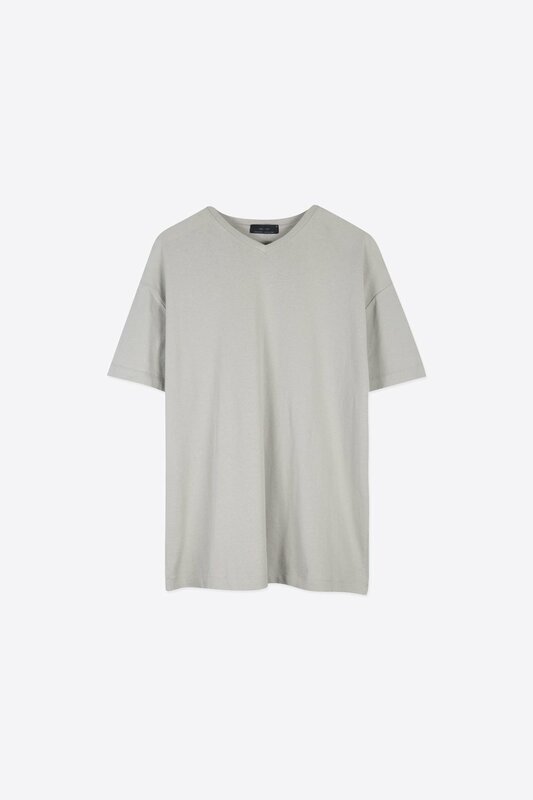 Crafted from 100% cotton, this t-shirt is lightweight and breathable and perfect for the warmer weather. 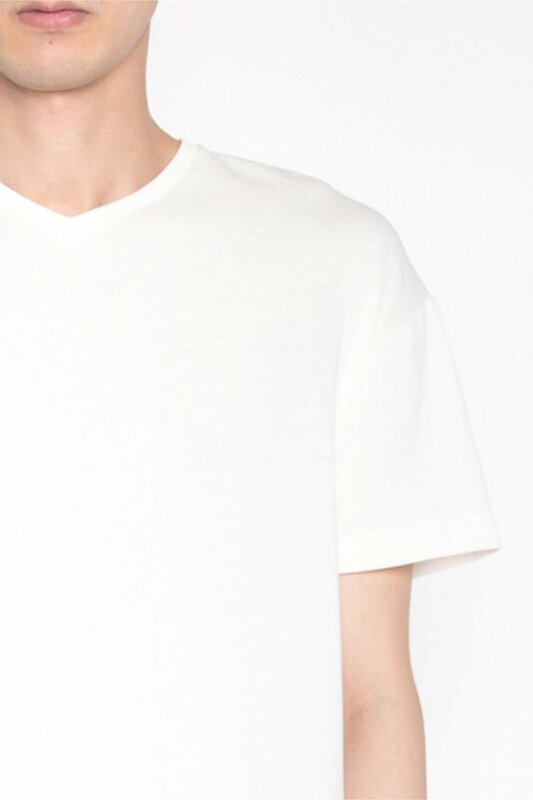 Features a subtle v-neck for a classic design. 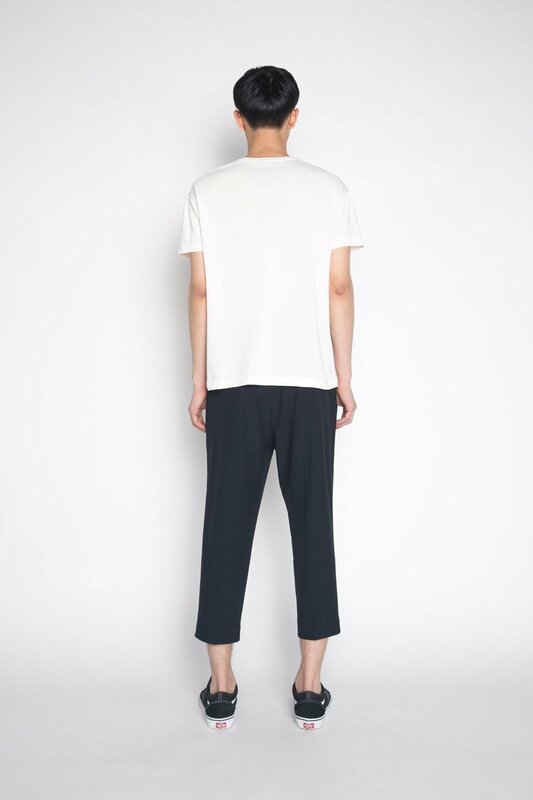 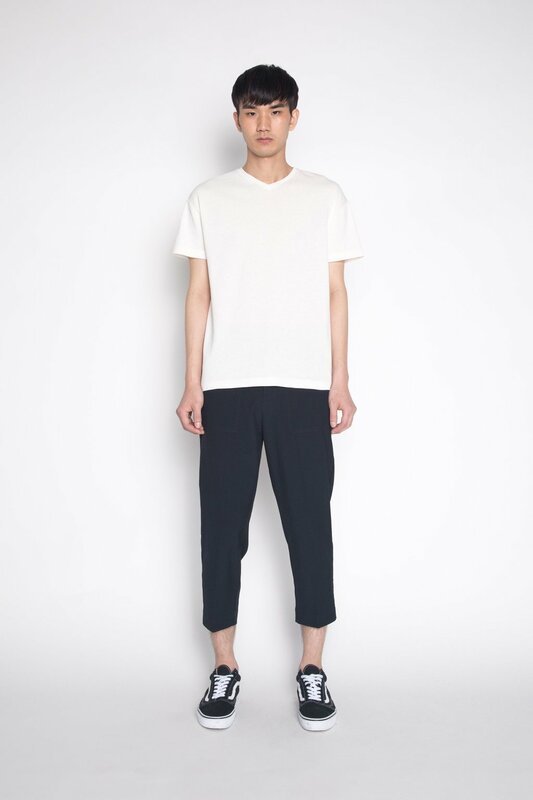 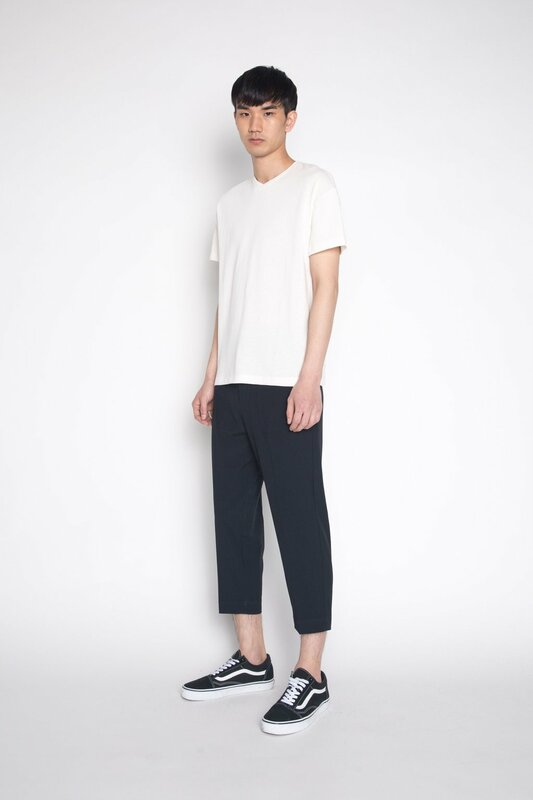 Pair with trousers and sneakers for a refined and casual look.